Subscribe to comments with RSS or TrackBack to 'How good is an “All Virginia” team?'. Wow Todd I guess you would call this a labor of love. For having only a little over 2.5% of the population Virgina looks like its has done pretty well. States like CA, TX, FL and even NY have a huge population advantage in fact these 4 state make up almost a third of the U.S. population. Almost one 1 out of 8 people live in CA alone. Maybe you can answer this question, How did Verlander end up at ODU? I guess he developed late but I would think he could have gone to almost any top baseball school? I remember reading a long time ago an article on all the players who came from San Pedro de Macoris in the Dominican which used to be known as the cradle of SS in MLB but now they have quite a few other position players too. The Dominican has about 10 million people which would make it about the size of GA. I wonder if any state including CA has had more players in MLB since the first Dominican player first came to MLB sometime in the 50’s I think? That might be hard to look up because of the year parameter. I read the whole article it was all interesting as I also grew up in the area and saw a few of the players mentioned play, although I was was not good enough to play against any of them. A couple others worth mentioning: Marshall HS also had Mike Brown (he pitched for both the BoSox and Seattle iir) and Atlee Hamaker (who gave up the first GS in All-Star game history to Freddie Lynn) played at Mt Vernon HS. Here’s some facts regarding William & Mary players in the pros. Vic Rashi was most likely the best tribe pitcher or player to appear in the majors. His career stats are 132-66 with a 3.72 era and 944 strikeouts. He was a four time All-Star and a six time World Champion ( 1947, 1949, 1950, 1951, 1952, 1953 NYY). Since 1999 21 players have been drafted from William & Mary 7 in the first 10 rounds. Major leaguers include Vic Rashi, Curtis Pride, Chris Ray, Bill Bray, Will Rhymes, and Brendan Harris. Little known fact Will Rhymes, Bill Bray, and Chris Rahl in the Nationals organization all played together at W&M. Chris Rahl, Justin Upton, and Michael Cuddyer all played shortstop for the same High School in Chesapeake (Great Bridge HS) but never on the same team. 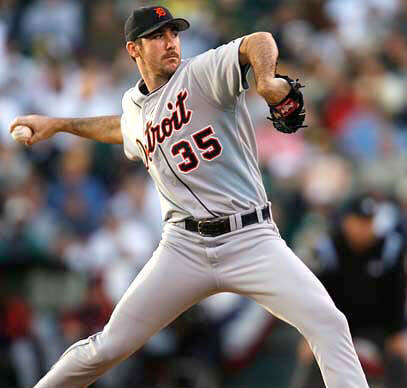 Verlander: If you trust wikipedia, it sounds like Verlander had a similar experience as Strasburg. He was definitely talented in HS, but reportedly topped out at 86 his senior year. So he headed to ODU, not a bad baseball school but obviously not a major div-1 college. There he blossomed, added more than 10mph to his fastball, made the Usa team and was 2nd overall pick. You know what’s weird about the D.R. these days: I know it still generates a ton of players per capita, but it seems like more and more division 1 players and american players are entering the minors. Or perhaps its just my impression by looking so much at the Nats organization. B-R shows 563 mlb players in history that were born in the D.R., 128 of which are active right now. California has more than 2,000 mlb players; 200 california born are active now. So that’s your answer. I should note; I’m not anywhere in the league of these guys; I didn’t play college ball or pro ball. But I could hold my own in these good leagues when I was younger. Knowing what I know now about the nature of college ball (and the limited scholarships), I would have at least tried out. I could hit, I had power and could play the infield. Maybe I could have hung on as a walk-on at JMU. In the next life, Jack. Great pull on Mike Brown. I’ve definitely heard his name before. His wiki page says he coached til 2001 and may be in Japan now. Hammaker I never would have found; Mt. Vernon isn’t listed on his profile. I gotta admit, I had no idea W&M had so many guys in the pros. B-R shows 9 active pros right now. Long Beach Poly has produced more than 80 NFL players, not to mention Snoop Dogg, Spike Jones, and Cameron Diaz. Wow! John Bonfield. How the hell are you? How’d you find this blog? We talk about you and that team all the time. A few of us from that team are still playing here and there. Dad’s doing well; he reads this blog periodically. I just self googled; pure luck. Went to Richmond and played in an old man league but did it with a torn labrum, which i got fixed. Back in nova. Not playing yet; haven’t tested the arm. Maybe?? While in Richmond, ran into Sergio – he was playing for a different team but good to see him. Tell GB I said hey! Wow; my blog gets out there into google right quick. Glad to hear you’re back. Sergio’s a trip; did you know he was on the professional bass fishing tour? I’ve got your email; will tell dad you stopped by. I can verify that Verlander was good but not “great” in high school. He developed some his senior year but really took of at ODU. I faced him and Sean Marshall when I was younger. Marshall was more impressive when we were in the 16-18 age range. Probably because good lefties were few and far between at that age group. I had the pleasure of playing in a couple of AAU tournaments involving Zim, Wright, Reynolds, Upton, Saunders and Bray. I never got to hit off of Bray or Saunders but did see them both pitch. It is pretty impressive to see how many really good ball players have come from my time period of playing the game. That is cool, I must admit, getting a chance to play against all these guys. The baseball landscape in Chesapeake has really taken off lately. I am surprised Robin Jennings from Annandale isn’t somewhere on this page. I just don’t remember Jennings, even though he’s from right around my HS time. I’m sure we faced him at some point in youth leagues, whether it be fall ball or somewhere else. But you’re right; a poor miss on my end, he somehow eluded my notes and research. He hit the school on Paul VI field?? Holy cow. I’ve never heard of Allanson but that’s a good addition. Cubbage too thanks. Bobby Brower (Madison High ’78 ) started for the Rangers and Yankees. Probably the “Best athlete ” to come out of Madison High. Thanks for the reminder; I missed him b/c b-r.com doesn’t have him at Madison. But I did some looking around and yeah he deserves mention alongside Wallace and Franklin. I just updated the post and put in links to some great Fairfax Connection articles on him and all these guys. Having played with many of the same folks you did and finding this article was a great walk down memory lane. It was also thrilling to see a call out to Mike Nielsen, he was a phenomenally intimidating pitcher who I had the pleasure of hitting a grand slam off of my senior year! (1989). Thanks again for compiling this. Thanks Tom! I could have sworn Steve Dunn was on there .. maybe i’m thinking of Shawn Camp. I’ll add him in arrears though. I know the name for sure.